It’s been nearly two years since Electronic Arts released the reboot of the Medal of Honor franchise. With the sequel Medal of Honor: Warfighter looming on the horizon (October 23rd release date), I thought it might be fun to take a look back at its predecessor. This new game took a detour from the series’ previous installments by being set in a more modern setting, specifically the early days of the war against the Taliban in Afghanistan, rather than the Second World War as the earlier games that bore the name. I remember playing and enjoying the original Medal of Honor games on the PSOne, even more than the Call of Duty games of the same generation, so I was excited to see what could be done with the franchise in the new setting. 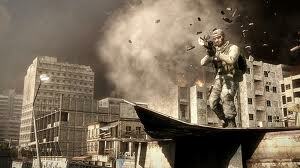 At the time of this writing Medal of Honor holds aggregate scores of 72 (PC), 74 (360), and 75 (PS3) on Metacritic. This article will reflect my experience playing the game on the Playstation 3 console. It’s also important to note that the single player campaign and the multiplayer component of the game were created by two different studios with different game engines. Battlefield developer Dice created the multiplayer using the Frostbite engine while the single player campaign was created by Danger Close Games using the Unreal Engine 3. This review will focus on the single player campaign because frankly that’s the only part of the game that I experienced. I have a distinct lack of skill at playing first person shooters in a competitive online environment, so steered clear of this portion of the game. The concept of Medal of Honor, on the outside, seemed very familiar to anybody who had played any number of the recent crop of first person shooters that are based on a more contemporary style of warfare. Medal of Honor set itself apart from the competition by using the setting of a real conflict that in many ways to this day still hasn’t ended. 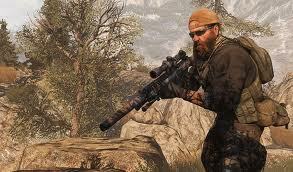 Danger Close Games also enlisted the help of actual Special Operations soldiers (Tier 1 Operators) to assist with the development of the game and ensure accuracy of the content. All of this worked together to create what I felt was a very compelling gaming experience. In many aspects I was able to put myself in the shoes of the soldiers that had actually fought in this conflict, from the US Army Ranger grunts slogging it out in pitched firefights, to the Tier 1 operators conducting small-scale raids, and to a lesser degree the aviators providing support to the troops on the ground. By “to a lesser degree” I mean to say that of all the pieces of this game, I found the vehicle portions to be the least interesting and immersive of the entire experience. Graphically the game is pretty stellar. Many of the settings in the mountains of Afghanistan are simply breathtaking! Danger Close did a great job of recreating the ruggedness of the terrain and also provided some simply amazing backdrops for many of the battles throughout the game. This helps to set the game apart from other games as the character and weapon modeling is pretty much on par with the competition, which isn’t a bad thing, just not anything that jumps out at you in the same way as the environments do. The developers also set a standard with the sound effects within the game. The sound of the firearms and explosions were very well done, helping to immerse me in the experience. Especially when playing with my surround sound system on and cranked up, there were moments when I had honestly forgotten that I was playing a game. That’s about as good a compliment that can be given any game in my opinion. My overall experience of the single player campaign of Medal of Honor was a good one. I remember posting a message on my Facebook page immediately after beating the game on Hard difficulty to the effect of it being a really entertaining experience. The fact that I was compelled to comment on the game showed that it stood out in my mind, as I don’t usually make public announcements on the games that I complete. I did purchase the game some time after its initial release at a price less than the $60 it would have cost at launch and my copy was the Limited Edition release with Medal of Honor: Frontline included. Despite not ever touching the multiplayer aspect of the game, I felt that I got plenty of entertainment for my investment. I imagine that a copy of the game could be had for quite a bit less than it had at launch nearly two years ago, and with the sequel coming out soon, it might be a good idea to try this title out if you haven’t already. It still receives a hearty recommendation from yours truly.